In order to find the best shoe, one needs to find both comfort and value for their money. It is important to identify certain features that one needs to find a shoe comfortable. 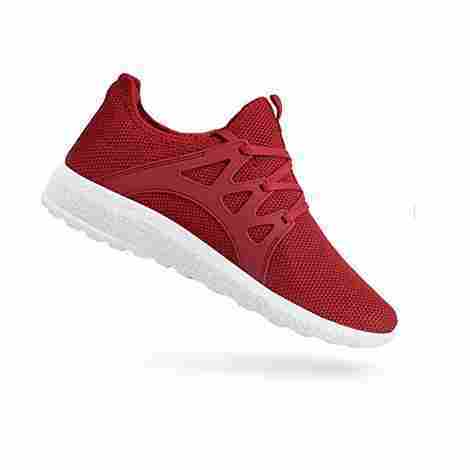 While some may have the perfect inner sole or foothold design, they may fail to have other important aspects of the design or poor color choice. Therefore, the list below contains an in-depth analysis of some of the best walking shoes based on some distinct qualities that make them rank highly. When it comes to walking, it’s important that you have the right pair of shoes. Now, you can’t just purchase any pair – you need a quality pair of walking shoes. So, to assure our readers that the products we selected in this buying guide are of the highest-quality, we performed an update to share our in-depth research and evaluation process. Additionally, readers will find answers to some commonly asked questions that should make purchasing any pair of walking shoes, that much easier. Check it out below! This edition is perfectly designed to provide the ultimate comfort for training and walking. Designed exclusively for women, the edition considers stride angle and material that releases tension on the feet to improve performance. With a design that considered comfort to the feet, narrower space on the heel and wider instep space, RYKA devolution is a top brand to help women during their workout routine. The wide instep volume offers enough room for women with broader feet and a narrower heel that holds the feet in perfect place. This offers a firm grip to complement the right feet space to reduce tension during walking. With more room on the forefeet, these shoes offer the perfect balance during a front-step motion to reduce feet pressure. RYKA incorporates the dynamic design of the feet and studies the pressure point to release tension during the performance. This is through a perfect insole cushioning to increase control with a narrower heel to provide grip. The synthetic sole and fabric finish make them vulnerable to fire and water. The fabric ensures that it absorbs any moisture from the feet to improve comfort. However, with the material used in their manufacture, the shoes are not durable and great care should be taken in cleaning and storage to ensure their durability. They are quite affordable and offer value for money. This lightweight sneaker is designed to offer maximum performance with its ability to be adapted to multiple sports. It can be used for walking, running, kickboxing and even Zumba classes. The sleek design makes it beautiful, to complement the other training gear, with light insole to reduce strain during sport. The mesh fabric and thin inner sole reduce the weight of the sneaker for maximum performance. It also has a flywire cable that wraps the feet in the middle to ensure a perfect grip. The thin comfort design promises a stylish design that can easily complement training gear. Moreover, flywire cable straps not only improve grip but offer a unique texture that compliments the entire design. Since it is made using a light fabric material, the shoe is rather weak and requires utmost care in its maintenance. Therefore, this makes the price costly, bearing in mind that it can only be used for light a workout. This edition incorporates technology with functionality and promises women a shoe that is more resistant as compared to the previous editions. 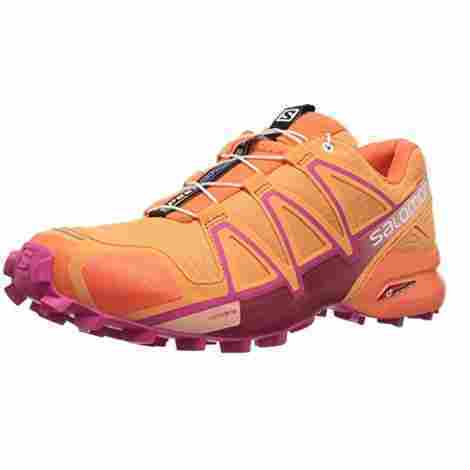 It is designed to be of lightweight with heightened mid-grip and soft inner cushioning for maximum trail performance. Its tough fabric finish and rubber sole make it the perfect shoe for rough terrain. The fabric finish also makes it favorable for wet surfaces, as it allows one to navigate dirt with more confidence. It has a tough fabric finish with a rubber sole that is guaranteed to offer protection from the rough terrain, as it offers resistance to mud and water. 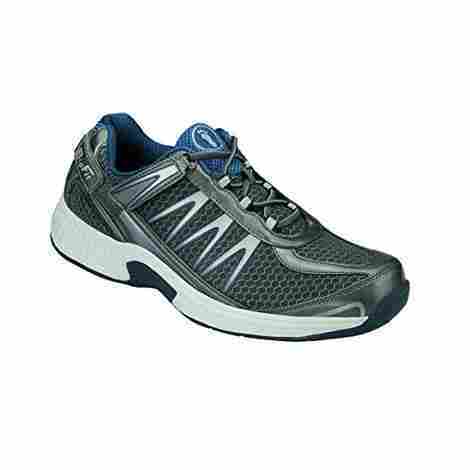 It has perfect inner cushioning and is lightweight and this improves movement on soft trails. This is further enhanced by a tougher grip to help hold the feet in perfect position to reduce pressure as it elevates performance. The Speedcross, fourth edition comes in beautiful feminine colors that guarantee the perfect look for women and compliment training gear. Moreover, EVA shaped footbed not only offers comfort but also fits the feet perfectly, which is trendy and fashionable. The material also offers a lightweight feel, with an average weight of 250g, which offers maximum performance. 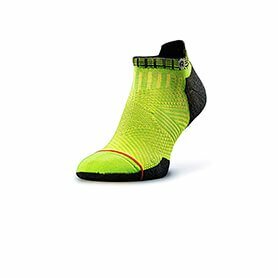 The shoe is brilliantly designed to consider the terrain and user (for women), that it adopted a tough lightweight material to reduce foot pressure. The soft inner cushioning also improves on its lightweight while complementing the external tough look. Considering its beautiful design and tough quality feature, the pricing is worth it but still costly as compared to other models. These pair offers quality and performance, mixed with the perfect design for athletes who are looking for maximum output. The perfect inner cushioning offers maximum comfort during performance and training with the GEL technology offering perfect support for the forefoot and rearfoot. This is the first pair that ASICS has introduced with a 360 GEL cushioning technology to balance the foot pressure during a foot strike, boasting to offer both support and perfect balance. Moreover, the even distribution of the gel across the entire heel provides the sole with an even pressure distribution in shock absorption during a performance. The 360-degree gel distribution across the shoe offers a smooth transition and balanced step during a workout. The seamless mesh finish that wraps the upper feet also boosts comfort as it gives room for movement during an activity. It has multi-directional stretch fittings that give the shoe flexibility to control and regulate movement. This model is fitted with a 360-degree GEL technology that helps in facilitating smoother ground contact and even pressure distribution to limit bounce and spring. This way, a user has maximum control, balance, and improved performance. Despite its high costs, the GEL technology and durable tough fabric finish justifying the technology. This pair is rather tough and promises durability if well maintained. Therefore, it may be costly, but it sure is justified in its strength and deliberate useful design that boosts functionality. This beautifully designed sneaker not only provides comfort but elegance for a broader user group and can be used for a casual look as well. It is the best fit to offer competition in a market that requires the combination of sports, lifestyle, and art to boost user flexibility. The design is fitted with extra cushioning and soft external material to offer comfort and reduce foot pressure as it offers support. The flexibility of the grooves at the sole of the shoe provides perfect grip to minimize skid and improve control. Moreover, the material used is flexible to improve bend, which boosts movement and comfort. Moreover, the flexibility to the EVA sole helps minimize knee injury by providing a buffer between the ground and the feet. The material used in making this QANSHI design is lightweight and improves comfort and improve feet movement. The fabric outer layer consists of a breathable mesh that boosts feet air circulation and this makes it feel even lighter. The pair is affordable, stylish and trendy promising ultra comfort to the user with the light mesh fabric cover. Moreover, it can also be used as a casual shoe and its multipurpose function makes it a perfect buy because of its pricing. 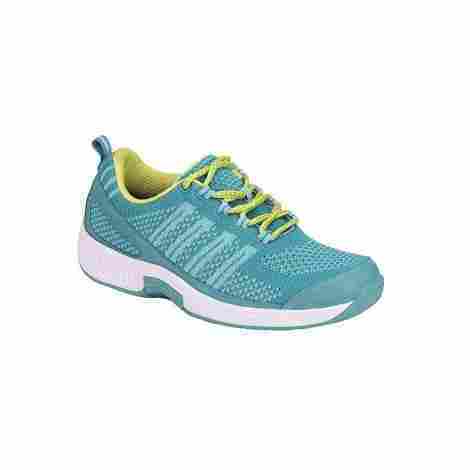 The flexible women’s athletic sneakers are made with stretchable material that offers extra room for feet movement as it protects the pressure points. The premium gel orthotic insole offers maximum protection against pressure as it boosts balance and provides a softer step. The shoe also has a deeper toe box layout that allows the feet to extend naturally for added comfort. These features are designed to help women have maximum comfort as they reduce lower back pain, reduce heel and foot pain, reduce arch pain and boost stability. The anatomical arch structural support and contoured insole boost comfort that regulates pressure balancing from kneels, lower back and hips. This mechanism makes it the preferred footwear to help control knee and foot pain, comfort to the most sensitive feet, Neurotherapy, hammertoes, and corns. The ergonomic-stride design offers better stability as it enhances easier foot motion and the soft lightweight inner sole softens the step to absorb any shock from the ground. It also has an extra depth that provides enough hammertoe room and helps the feet relax in their natural position. Despite its costly price, ($119-120) the pair has both ergonomics and engineering qualities that prove its worth. It has multiple benefits in both physiotherapeutic functions and provision of comfort. Hence, it is suitable for people with back pain, knee problems, rheumatoid arthritis and even diabetes. The men’s version provides anatomical arch structure and a much more relaxed fit that protects the feet from pressure points. The orthotic insole with the other soft cushioning improves balance and boost natural foot movement. The biomechanical engineering employed in designing the shoe ensures that they guard against corns, hammertoes, neuropathy, and metatarsalgia. It has a deep toe box that helps the feet relax in a natural position to improve comfort and evenly distribute pressure. The premium orthotic insole and the anatomical arch structural design evenly distribute pressure to boost comfort and increase balance. The pain is elevated from the heel all the way to the hips and back to boost structural strength. The sole has a lightweight material and soft inner cushion that releases tension during the step and improve spring. In turn, this mechanism releases stress on joints as it adds to the fluidity of the step. Despite the high cost of purchase, the pair has an orthotic mechanism that is suitable for men with sensitive feet. As a result, the shoe is therapeutic as it provides support and helps in relieving tension and encouraging healing to joint pain. Therefore, it is worth every penny. 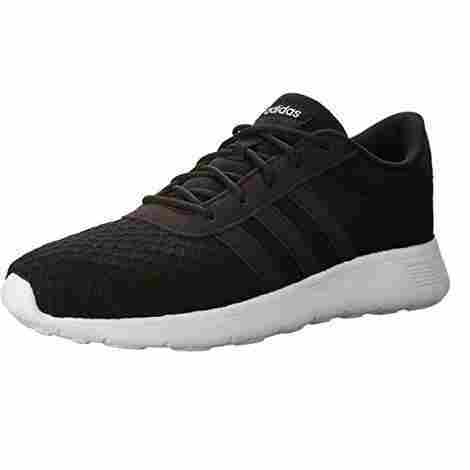 The pair is lightweight casual/running shoes designed to improve performance through soft cushioning insole and rubber sole. The upper fabric mesh finish improves breathability and comfort. Here are two highlights from one of Nike's best shoes. The lightweight fabric and soft rubber sole improve its functionality and foot flexibility. 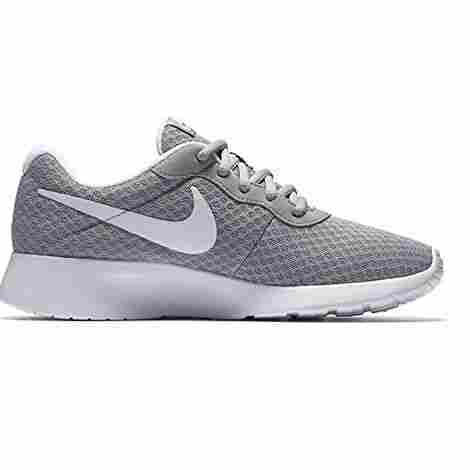 The casual style also makes it ideal for a fashion accessory that doubles up as a training shoe. 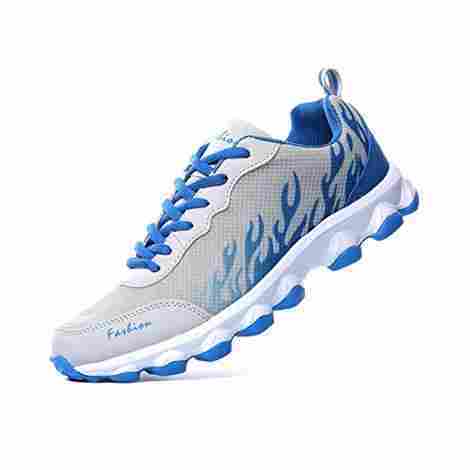 The material used is lightweight mesh fabric that improves comfort and improves feet movement. The rubber sole also promises even distribution of pressure across the feet to boost foot landing. This pair is affordable, trendy and fashionable promising ultra comfort to the user with the light mesh fabric cover. 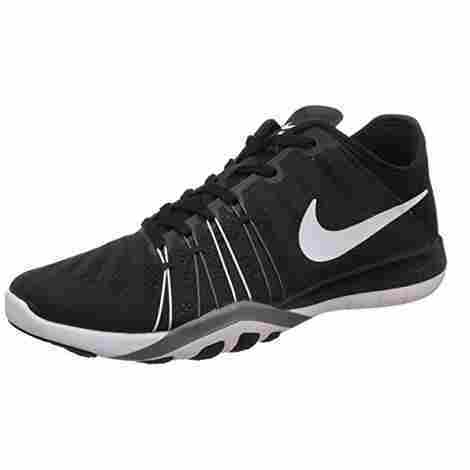 Moreover, it can double as a casual shoe as well as training shoes, which make it worth buying. Although it is not cheap for the design and features, its beautiful design makes it pass as a highly rated casual shoe. This pair promises comfort, functionality, and design with its stylish look and lightweight material. It has a removable insole made from a visco-elastic foam and perfectly holds the feet in position to give a perfect comfort. It has a light mesh and synthetic leather finish to increase its lightweight feel. Moreover, the upper mesh finish improves the shoe’s breathability that not only provides a stylish rough texture but also boosts comfort. It has three synthetic leather strips to boost comfort and grip. Moreover, the rubber sole evenly distributes foot pressure to maintain balance and acts as a shock absorption mechanism during the step. The EVA outsole is also made of a lightweight material that is durable. The shoe is affordable and fashionable with added design mechanisms in the leather straps. Despite the light material used in its manufacture, it is durable and tough, promising protection from the terrain. I could say that it is fairly priced with the ability to be adopted as a casual pair. This fabric and synthetic rubber sole sneakers is dynamic and built for multiple environments as it provides great comfort. It has five key features that customers like, which are its adaptive support, durability, responsive cushion layer, comfortable and breathable. The fashionable design promises a perfect casual feel that makes the shoe be worn on most occasions, whether you are at an office desk or training students outdoor. WELMEE sneakers are not only comfortable but have a timeless fashionable look that promises to transcend generations. They can be worn with any outfit whether formal or casual. The multiple available colors give women an option to properly match them with an outfit of choice. The insoles have a soft rubber finish with a highly elastic feature that evenly distributes pressure on the sole. It also has a breathable fabric material that is soft and acts as a sweat-absorbent. Smoother line designs perfectly stitched to offer durability and comfort with a high-quality seat-absorbent material. This pair is quite affordable and is tough to withstand harsh terrain while keeping the feet comfortable for a longer period. It is important that a shoe has several qualities for it to pass as one of the best. The above list not only reveals the best in terms of comfort but design and pricing as well. The list contains shoes that are best suited for walking and some that would also perfectly pass as casual shoes. While most of the shoes on the list are affordable, the more expensive ones have features that are definitely worth the money. When it comes to picking out any pair of shoes, whether walking, running, hiking, or even camping, it’s incredibly important that we, as consumers, take the time to figure out what product is the best. The truth is, the shoe market is so vast as there are hundreds of different companies all competing, designing visually appealing shoes to capture our attention, pitching a claim that their shoe is the best of the best. Now, have you ever purchased a shoe at the store and, while it looked nice and seemed to fit comfortably, the moment you started to walk in them more while camping, walking, hiking, or even just around the house – your feet started to ache? This is a reality for millions of people, which is why it was that important for us when picking out the best walking shoes, that we evaluated each shoe on strict and rigorous criteria that were designed to eliminate and highlight the worst and best products. As you will read below, there were many different facets that we needed to take into consideration. The ideology behind this is that walking shoes can be quite unique. Sometimes, there are brands that market their shoes as walking shoes, when in fact they are running shoes or trail running shoes. On the other hand, sometimes, there are companies that are selling walking shoes that are not great for walking at all! We needed to look at the quality of the shoe, the brand, the durability, and even the sole technology. Gathering all of this information has lead us to create this buying guide today. So, if you want to learn a bit more about how this guide was created, keep on reading! So, when we began this buying guide, we needed some foundation to evaluate each shoe that we researched. The first and most important aspect and criteria that we looked at was the overall quality of the shoe. The reality, if a shoe lacks quality, it’s not worth any consumers consideration. I mean, the last thing you want is to be walking around and, all of the sudden, the outsole beings to wear and tear, or worse, completely fall apart. With that being said, we took the time to carefully research each shoe and how the manufacturer made it. This entailed looking at the materials, the technology, innovations, and the overall design of the shoe. Since the walking shoe market is competitive, we did not stop after knowing the different facets mentioned before. We took it a step further and even consulted with previous consumers to see what their experience was like walking with the shoe. We wanted to know that, when they were walking, did they feel comfortable, did the shoe last long, and whether or not the product felt cheaply made. When it comes to a shoe, there is one facet that many consumers do not take into consideration. For example, have you ever purchased a shoe before and, after a few weeks of wearing it, your feet are uncomfortable, or you notice a pain when walking? Chances are, the midsole, insole, or outsole are poorly designed or not matched to your foot time. Worse off, if the upper is not properly designed, it could leave an individual with worse ankle pain or even tripping or falling. With that being said, when we evaluated each walking shoe, we carefully, studied each sole and the different types of technologies that manufacturers were using. Such innovations included different foam technology, ventilated mesh materials for maximum breathability, and even unique rubber outsoles with different traction designs. Let’s be honest, as frequent walkers, runners, cyclers, hikers, or even campers, we are all aware of the “brand names” in the shoe industry. 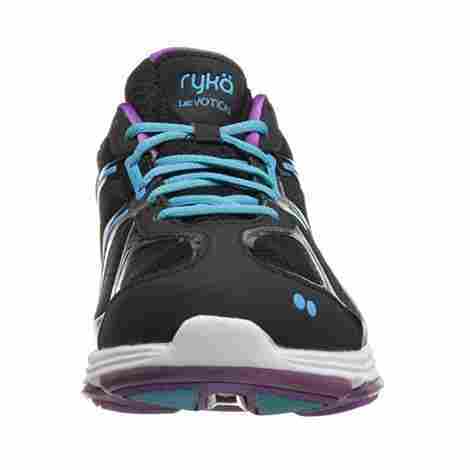 There are companies like Nike, New Balance, Asics, Adidas, and even lesser known, but wildly popular brands, like Ryka. Now, just because a brand name makes a product should not be the justification for a purchase. Reason being, there are many cases where a consumer can find a perfect and high-quality shoe from an unknown brand, at a lower-price but with higher value. In this, when we were studying the market for walking shoes, we carefully noted what brands were in this race to be the best. From there, as we were evaluating each product, we did some added research to learn more about the company and how they were putting their consumers first. This may entail excellent customer service, warranties, and guarantees, or even just a high-quality shoe. The entire purpose of a walking shoe is to help promote greater comfortability when navigating around Planet Earth. Whether you are looking to go shopping, walk on a trail, go hiking, or simply walk around your house – walking shoes are typically made with some of the best foam and comfort technology. With that being said, as we scanned the market for the best products for your consideration, we carefully studied each product and how it was offering you comfort. We studied different types of foam innovation and technology, what type of soles the manufacturer infused into their shoe, and even what previous customers were saying about their walking experience. We can say, with confidence, that you will not find more comfortable walking shoes than those featured on our buying guide today. Have you ever purchase a pair of shoes before and, after a few days of walking, running, working out, or being outside, the shoes slowly began to warp, breakdown, or show signs of wear and tear? Typically, this happens to consumers that purchase lower-quality shoes or those that are not designed with durability in mind. Now, our goal with this buying guide was to ensure that, when you make your purchase, you are investing in a long-term walking shoe. To figure out the durability, we carefully studied the outsole of the product. Reason being, this is the first area that people will complain about and the one location that will show signs of wear and tear. We wanted to see how the company constructed the outsole of the shoe and what measures they took to promote greater durability. In this, we also looked at customer reviews to see what people were saying regarding their experiences with durability. Let’s be honest, one more time, can we? When you go into a shoe store or factory – are you more interested in the sole technology or are you more interested in the physical design of the shoe? At first, we can all agree, we are captured by the colors and the looks of the shoe. Now, this is nothing bad; however, it should not be the determining factor. With that being said, one of the last things that we took into mind was the overall design and appeal of the shoe. We did not want to share any products that were not visually appealing or felt like an eye-sore. I mean, you still want to be stylish and fashionable while walking, right? So, while pictures to speak volumes about the product, we needed to verify with previous customers in the review section to see their thoughts regarding the designs and colors and whether or not they were true to the images. When it comes to any buying guide, one of the most important facets, in our opinion, is the cost and value ratio. For those that do not know, the cost and value ratio is a measurement tool to help highlight the best products, given both their price point and the value embedded in the shoe. To figure this out, we needed to first start off by scanning the entire market and keeping track of the different price point. For example, we wanted to know what products were priced incredibly high, low, and right in the middle. From there, as we were scanning each product and evaluating it, we looked at the price tag in relative terms to what we gathered early. From there, we looked at the pure value of the shoe and asked, “What does this shoe offer a consumer?” Through answering this question, it allowed us to really dive in and find the value of the shoe. What you are finding on this list are shoes that boast great price tags with great value so, no matter what product you decide on it – you know you are getting a great deal. Okay, so we knew that walking shoes were designed to help make consumers everyday life more comfortable while on the go. However, when we first started doing research for this buying guide, we realized that there are so many companies that are producing incredibly heavy walking shoes – or products in a slim number of sizes. With that being said, we wanted to ensure that, whatever product made our list, it was constructed from all lightweight materials and offered in a wide variety of sizes, including narrow and wide, so that anyone can purchase whatever shoe they desired. Q: Does the shoe run true to size? A: While we would all prefer that shoes run true to size, especially when trying to purchase one online, this is not always the case. What you need to consider is that every single walking shoe is designed differently. In this, the sizing and fit are different as well. So, you cannot take one shoe that may be a size 7 and compare it another brand and think you may be a size 7 as well. It’s suggested to read each brand’s size chart and consult with previous consumers in the review section to see what their thoughts are on the fitting and sizing. This will save you the hassle and stress of having to return the product. Q: How do you know if a walking shoe is water-resistant or waterproof? A: Well, the manufacturer will tell you! However, just because the company says it, does not make it 100% truth. So, it’s a consumer’s responsibility to do the research and look at what other people are saying in the review section. Typically, since this is an important facet, many consumers are talking about this and their experience. A: Many people tend to get these two terms mixed up and confused. So, to help you out, we are going to break it down for you. When a walking shoe is considered water-resistant, it simply can help resistant or prevent a small number of water particles from seeping through the materials. However, should it be subjected to a lot of water, the material will not withstand. Waterproof walking shoes are slightly different and more durable. Essentially, these products are designed with materials that are impermeable. So, whether it’s rain, snow, or sweat, nothing can seep through the exterior to the interior. Q: Can you wear walking shoes to exercise? A: This entirely depends upon the type of walking shoe and the technology that the manufacturer used to create the shoe. Typically, walking shoes are not designed for extensive exercising such as running, hiking, or even speed walking. The reason being, walking shoes don’t come with the right sole technology to accommodate for runners. 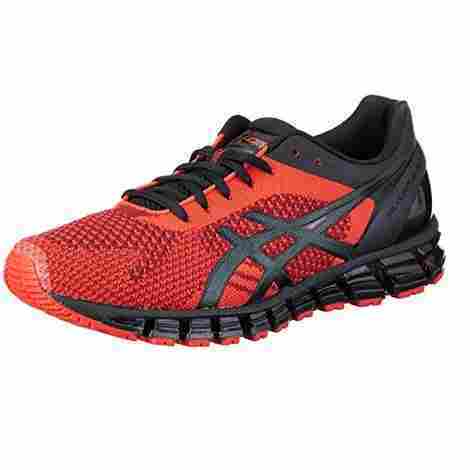 Additionally, sometimes, these shoes are thicker or heavier than regular running or exercise shoes. Q: Can you remove the insoles and replace them in walking shoes? A: Yes! With almost any walking shoe or any shoe for that matter, the insole can be removed so that you can replace them with some more soothing for your feet. Now, do not assume that all shoes do accommodate before purchasing as you don’t want to be let down. So, make sure, read the product description or look to see if any consumers have shared their insight in the customer reviews. Q: Are walking shoes machine washable? A: Yes! Typically, walking shoes could be washed in a machine. In fact, many times, an individual can wash their shoes with other clothes and treat it just like another piece of clothing. However, we cannot make the bold statement to say “all walking shoes” as every single product is gravely different. With that being said, what we would suggest, before purchasing any walking shoe, is look at what the company says about washing and cleaning their product. If you already purchased a walking shoe, take the time to read the label or the tag. If you can’t find the applicable information, consult with the manufacturer!